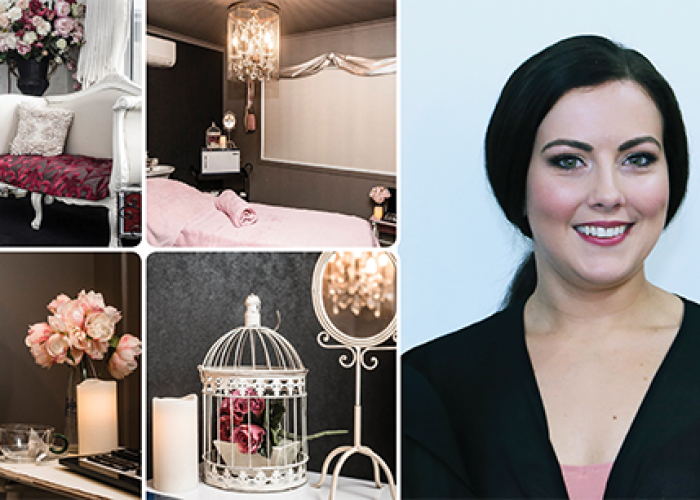 Victoria Toye is the proud owner of The Darling Room, a successful beauty salon in Hamilton that has been in business for almost 10 years. Graduating in 2005, Victoria was one of the very first students to study at the Elite Hamilton campus when it first opened. A farm girl at heart, Victoria started her working life as an office assistant after moving from Raglan to Hamilton aged 18. It was an off the cuff conversation at work one day that helped her decide she was going to study beauty therapy. Victoria now has three therapists working at the clinic which lets her focus more on the running of the business, rather than the hands-on, client focused work. Like any successful venture, there have been challenges along the way. In Victoria's case the successes far outweigh the challenges and she has very high praise for her three staff (all of whom are Elite graduates) and for her training at Elite. Her advice for budding therapists is to focus not only on the beauty side of the job, but also on the therapy.